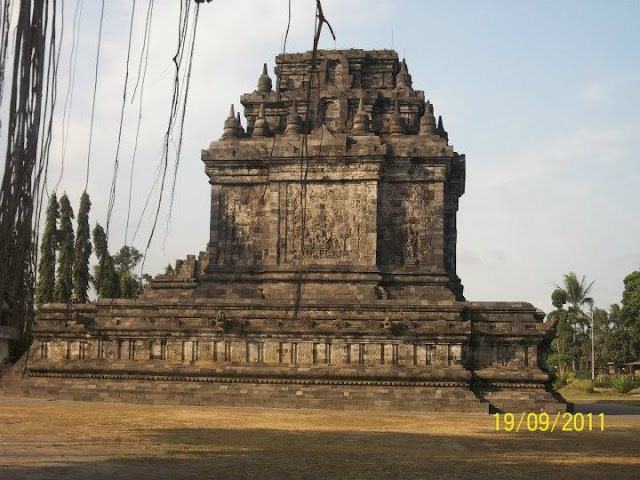 Candi Mendut (Mendut Temple) is older than Borobudur. There are stories for children on its walls.Candi Mendut (Mendut Temple) is 3 kilometers eastward from Borobudur Temple. It is a Buddhist temple, built in 824 A.D. by King Indera of Cailendra dynasty. 2. Awalokiteswara, a bodhi satwa as human being helper. 3. Maitreya, a savior of human beings in the future.